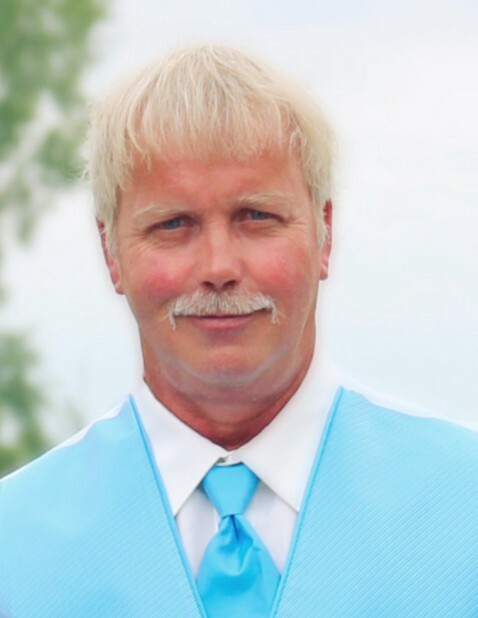 Mark Przybylski, 57, of Warren, MN, passed away unexpectedly on Thursday, April 26, 2018 at the North Valley Health Center in Warren, MN. Mark Allen Przybylski was born on January 18, 1961 in Warren, MN, the son of Harry Sr. and Florence (Jorgenson) Przybylski. He was raised in French Town (Argyle, MN) where he attended school. Mark moved to Warren in 1983 and he farmed for Amie Bergeron for nine years. For the last 25 years, Mark worked for Sorenson Construction. He was united in marriage to Brenda Kasprowicz on June 24, 1994 in Warren, where they made their home. He loved hunting with his grandsons, fishing, making sausage, grilling, doing house projects and tending to his garden (“Don't step on the onions!”). Mark enjoyed entertaining family and friends on the weekends where many hours were spent in the garage. Left to mourn his passing are his wife of almost 24 years, Brenda; children, Tasha (Josh) Maurstad and Zach Kasprowicz, all of Warren, MN; grandchildren, Mason and Lucas Mock, Jaiden, Kaitlynn, Riley and Jayce Kasprowicz; siblings, Jewel Kostrzewski, Christine (Bill) Hickey, Sheryl Bergeron, Roger Przybylski, Debra (Julian) Kostrzewski, Gail (Teresa) Przybylski, Celeste Sherlock, Romona (Michael) Schmidt and Terry (Patty) Przybylski; sister-in-law, Betty Przybylski; two aunts, Refina and Marlys; uncle, Sonny; mother-in-law, Delores Kasprowicz and many nieces and nephews. He was preceded in death by his parents, Harry Sr. and Florence; infant daughter, Tiffany; son, Jacob; brother, Harry Jr.; infant brother, David; father-in-law, Eddie Kasprowicz and brothers-in-law, August Kostrzewski and Gary Sherlock. MASS OF CHRISTIAN BURIAL: 10:30 AM on Tuesday, May 1, 2018 at Sts. Peter & Paul Catholic Church in Warren, MN. VISITATION: After 5:00 PM with a 7:00 PM prayer service on Monday at Sts. Peter & Paul Catholic Church in Warren and one hour before services at the church on Tuesday.